Michael Hatch is the Outdoor Adventure Program Director and an Instructor of Physical Activity and Health for Eastern Oregon University. This job is a dream come true for Michael, and it continues his lifelong passion of enveloping himself in everything outdoors. A native of Boise, Idaho, Michael received a B.S. degree in Resource Conservation/Wilderness Studies from the University of Montana in Missoula. For over a decade Michael has worked as a mountain guide, backcountry ski guide, and helped manage Forest Service recreation programs for operations in both Idaho and northeast Oregon. Michael’s favorite outdoor medium and subject to teach is snow. Through the years he has taught avalanche courses to hundreds of recreationists, college students, and EMS personnel as an American Institute for Avalanche Research and Education (AIARE) Level 1 and Level 2 Course Leader and professional member of the American Avalanche Association (AAA). 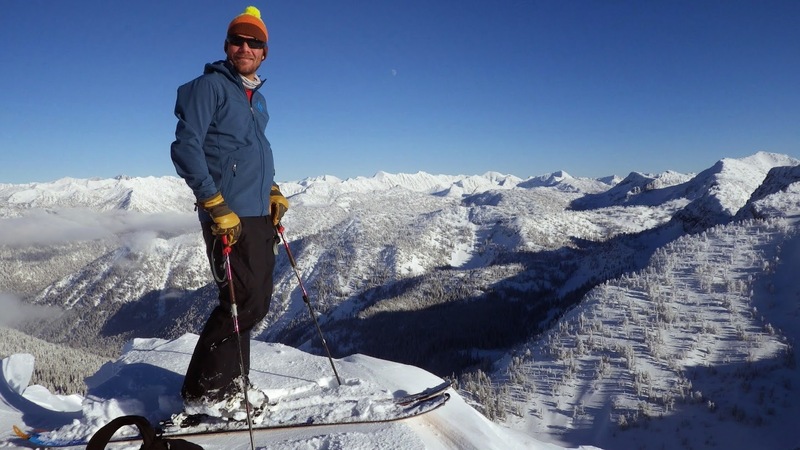 He is a board member of the Wallowa Avalanche Center (WAC) and has volunteered his time to the center as Lead Forecaster and Education Coordinator. Currently, Michael has certifications as a Wilderness First Responder, AIARE Level 3, Swiftwater Rescue Technician (SRT1), and is a Leave No Trace (LNT) Master Educator. Michael is a steadfast believer in the primacy of local landscapes and the outdoors as catalysts for physical, mental, and emotional well-being. He has explored many landscapes around the world such as Chile, Ecuador, New Zealand, Europe, Alaska, and Central America. He is an avid biker, mountaineer, climber, hiker, fisherman, and whitewater enthusiast. He loves introducing people to new outdoor experiences and giving them the skills and confidence to face and overcome challenges. In the coming months look to join Michael on a stellar backcountry powder day, climb one of the great local crags, hike through some of Oregon’s most remote wilderness, cast a fly across silver waters, and learn valuable skills in problem solving, leadership and group management, communication, and risk mitigation. Eastern Oregon offers vast outdoor opportunities – now let’s get out there and have some fun!